EU buyers of new PCs before 22 October will definitely not be able to upgrade to Windows 7 from Windows Vista, TechRadar has learned. Instead these buyers will also be forced to perform a clean install of their OS, losing all their settings and potentially applications and data. The unfortunate side effect has been caused by Microsoft's decision to avoid any further EU censure on Windows 7 by removing Internet Explorer 8 from the OS. Because Internet Explorer is so deeply integrated within Vista, it's not currently possible to perform an upgrade that removes IE. The problem will affect all new PCs sold in the EU between now and the launch of Windows 7 on October 22nd. As we learned back in June, the retail version of Windows 7 E (Europe) has the same issue and there will be price concessions on the full version of the OS - at least until the end of the year. TechRadar has heard from manufacturers (OEMs) who were told of the issue four weeks ago at a meeting with Microsoft. Having a large partner day isn't an unusual occurrence prior to such a release – they will have seen the Windows 7 RTM and will have been generally updated on information. However, we have spoken to two system integrators who were at the meeting when all were told of the restriction – and that there was anger over the problem. No wonder; it will surely affect sales further during the traditionally poor pre-OS period for new PC purchases. And at a time when sales are down anyway due to the financial crisis. Some OEMs are trying to provide solutions already with upgrade brochures, but TechRadar has also found that others seem blissfully unaware of the situation. This is a problem partly of Microsoft's making – the EU actually didn't tell Microsoft to remove IE from Windows, simply to include an option of installing other browsers. Microsoft weren't so keen and took the drastic action of binning IE8, knowing full well that many OEMs will decide to install it anyway to make it easier for their customers. 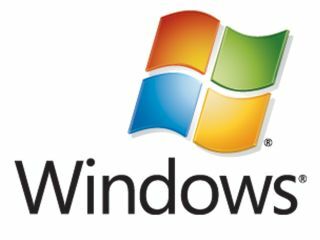 Any EU appeal process could have delayed the launch of Windows 7 – an unacceptable situation for Microsoft. So far, Microsoft has not been able to produce an upgrade process which would strip out IE, although a workaround may appear later in the year. Microsoft may still be able to supply OEMs with Windows 7 discs with IE8 on them if they can gain an exemption to the ruling. That would be on the grounds that OEMs can simply choose to supply an easier upgrade path for their customers by actively choosing to install IE8. EU approval would be needed for this and it's doubtful it would go through in time for the Windows 7 launch date.